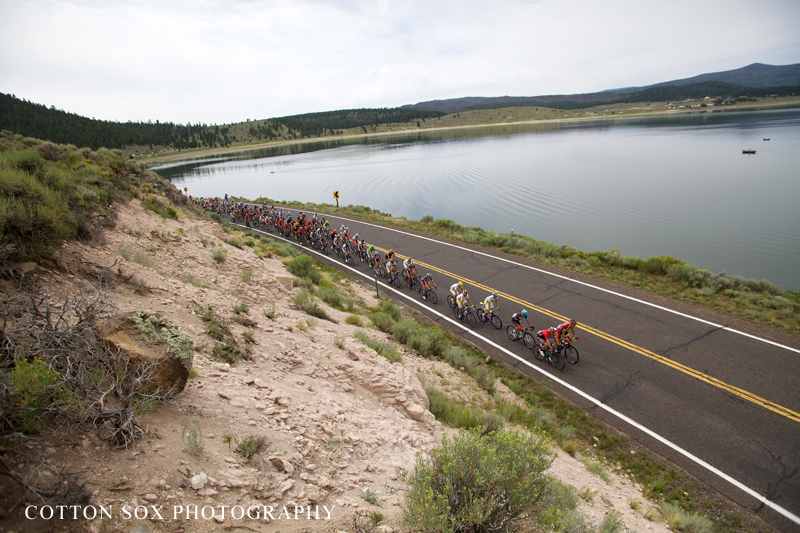 August 6, 2013 – Cedar City, Utah – Attacking with one kilometer to go isn’t typically the best strategy in a bike race. 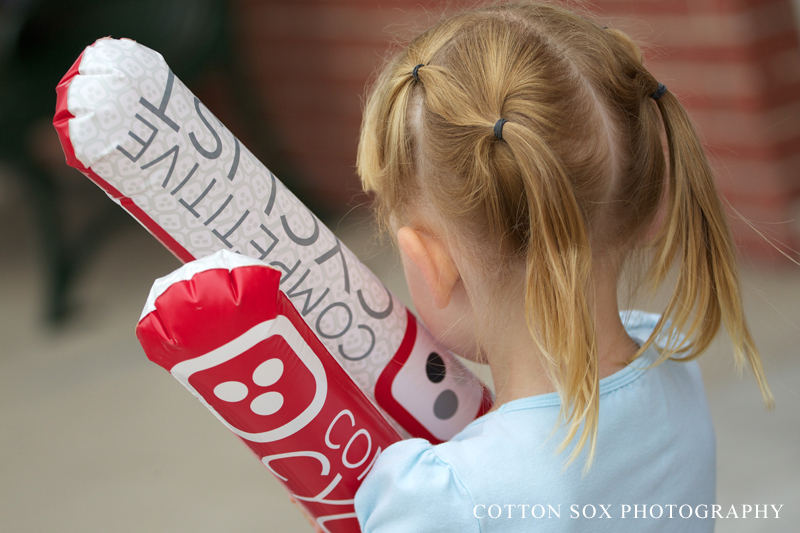 There’s simply too much distance left to race to stay off the front. Greg Van Avermaet’s attack wasn’t typical. 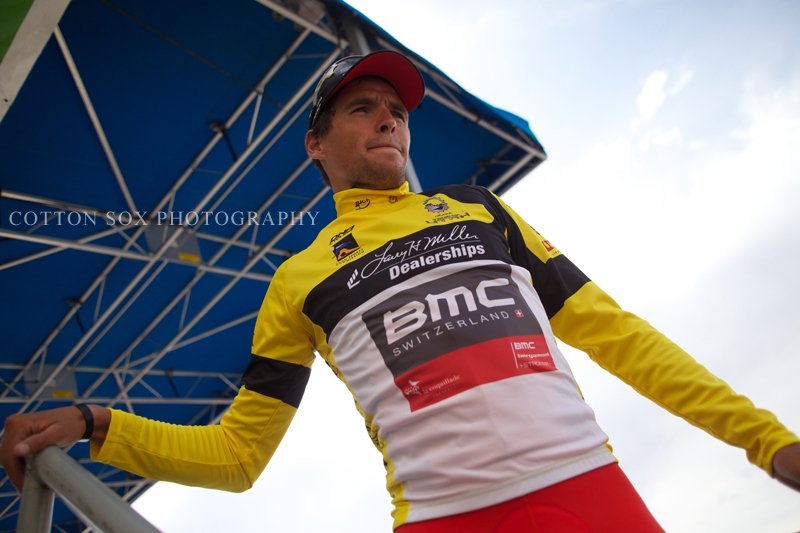 The BMC Racing Team star from Belgium made his move stick as the peloton behind him struggled to match his sudden acceleration and Van Avermaet held off the charging sprinters behind him for a solo victory – taking the overall lead and slipping into the Larry H. Miller Dealership’s yellow leader’s jersey as the Tour of Utah brought world-class bicycle racing to southern Utah’s red rock territory for the first time in the race’s history. Van Avermaet’s attack caught the peloton off guard as he powered away from the field to capture a solo victory in Stage One presented by Zions Bank. As the teams in the field were busy assembling their sprint trains as the peloton negotiated a few mild turns in the last mile or two of the race, Van Avermaet launched himself off the right side of the group. 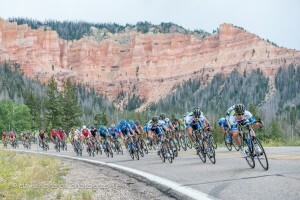 While teams struggled to match his move while also keeping their trains together, Van Avermaet stayed away and crossed the finish line in Cedar City about five meters in front of hard-charging Michael Matthews (Orica GreenEdge) and Tyler Manger (Hincapie Sportswear Development) and the rest of the peloton. 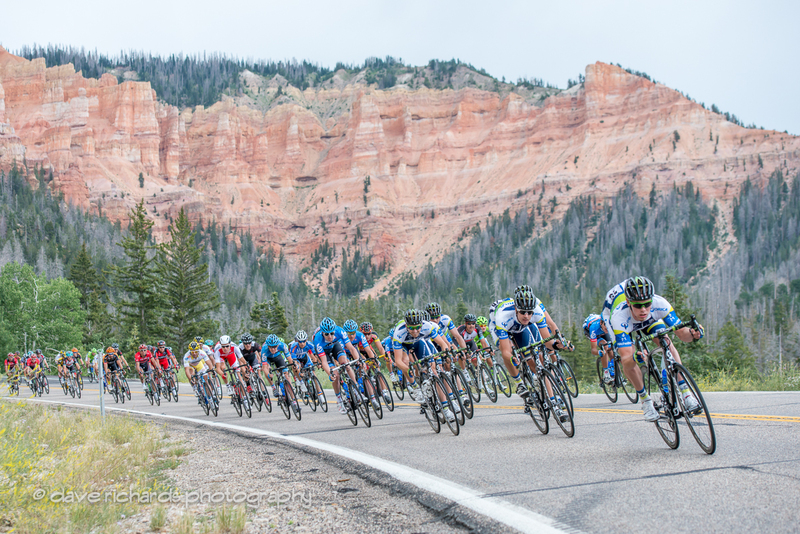 Starting at Brian Head Resort’s 9600 foot elevation, Stage One featured 112 miles of racing and a modest 5,748 feet of elevation gain with views of Cedar Breaks National Monument and a pair of speedy decents brought the race to Cedar City – home of Southern Utah University. Van Avermaet covered the course in 4 hours, 11 minutes. Christopher Jones (UnitedHealthCare) and Michael Torckler (Bissell Pro Cycling) attacked early in the race and spent most of the day off the front in a two-man breakaway and, though the break didn’t last to the finish line, we rewarded for their efforts. 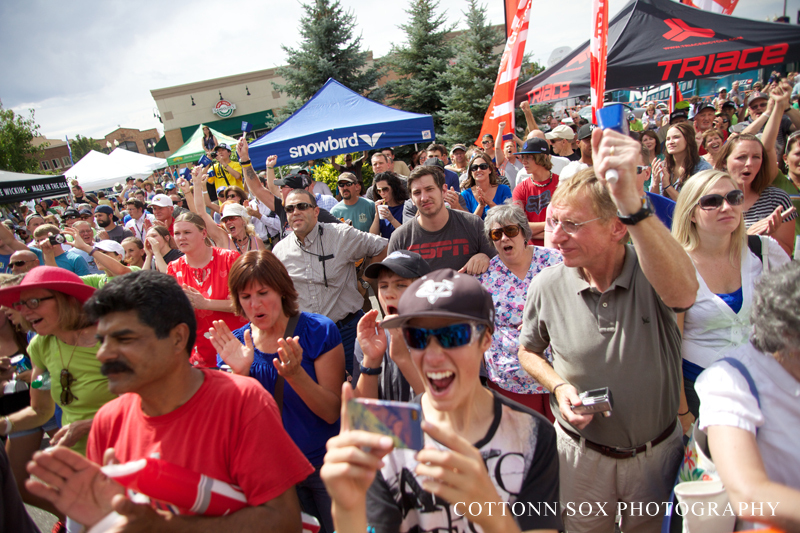 Torckler will wear the Ski Utah KOM jersey and Jones gets the Vivint Most Aggressive Rider jersey. Jones and Torckler raced ahead of the field early in the race, building a lead that grew to nearly 10 minutes before the peloton tracked them down, finally making the catch with just a few miles to go. 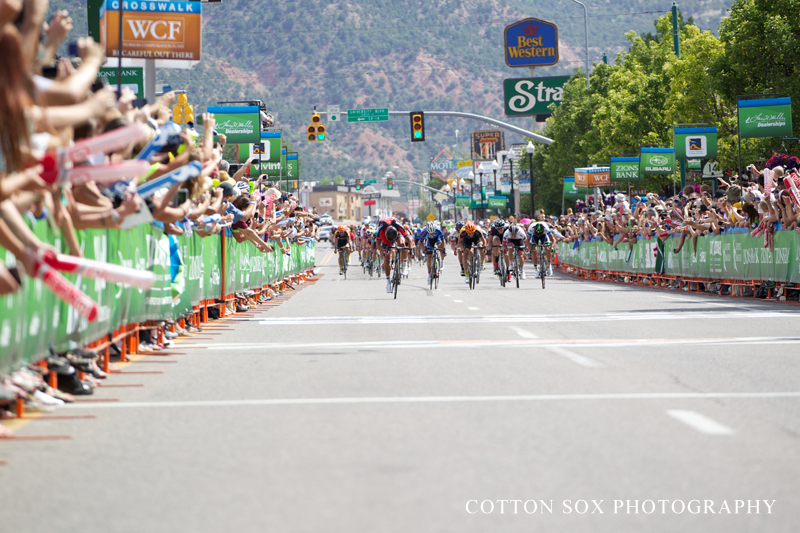 As soon as the catch was made, Radio Shack Leopard Trek’s Jens Voigt (Germany) launched an attack of his own and was followed by BMC’s Michael Schaer (Switzerland) with two of three laps through Cedar City to go. Voigt and Schaer were tracked down quickly and teams began lining up with sprint trains in anticipation of an exciting finish. But Van Avermaet’s attack came before the peloton was fully prepared to match his acceleration and the move stuck as Matthews (Australia) and Magner (USA) were four seconds back at the finish line as they rounded out the Stage One podium. Magner, the reigning USA U23 criterium champion, showed his legs are ready to take on some of the world’s best sprinters with his third place finish and took possession of the Subaru Best Young Rider jersey in the process. Matthews will wear the XO Communications sprint points leader’s jersey after leading out the field sprint behind Van Avermaet. 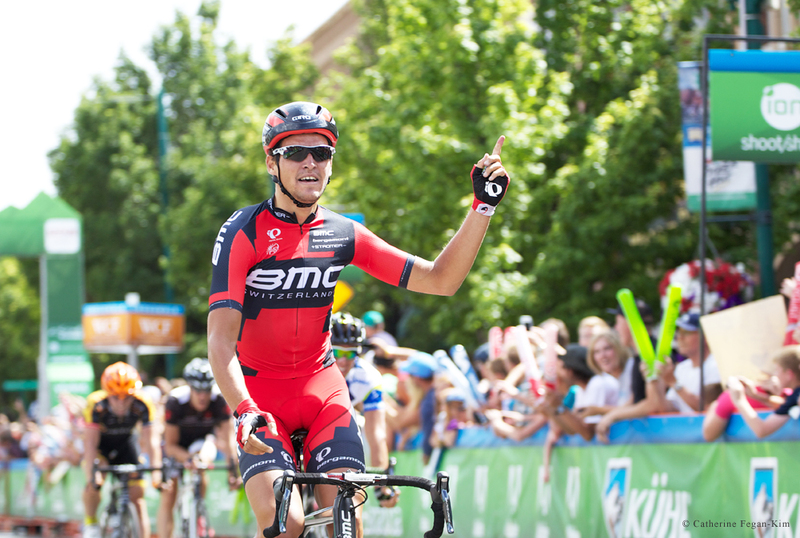 Van Avermaet is the race’s overall leader heading into Stage Two presented by the Utah Office of Tourism with Matthews second, four seconds back. Thanks to picking up a few sprint points during his time in the breakaway, Jones is third in the general classification standings also four second back, while Magner is fourth – six seconds behind Van Avermaet in the chase to be the 2013 Larry H. Miller Tour of Utah champion. Salt Lake City’s Jeff Louder (UHC) crossed the finish line in tenth place. 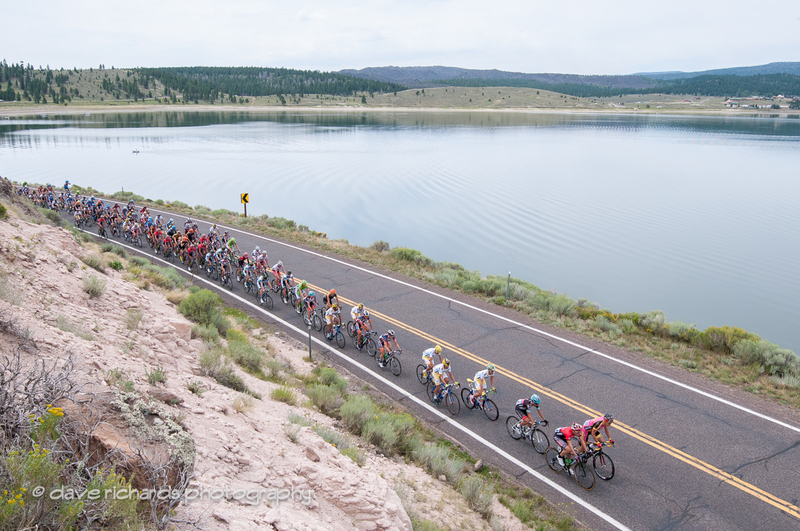 All other Utah riders finished with the same time as the field sprint as Tommy Nankervis (Bissell) was 25th, David Zabriskie (Garmin-Sharp) was 49th, Connor O’Leary (Bontrager) finished 61st, Jamey Driscoll (Jamis-Hagen Bermans) was 78th and Tanner Putt (Bontrager) was 92nd. Wednesday is Stage Two, a 131-mile ride from Panguitch to Torrey through southern Utah’s rural landscape. 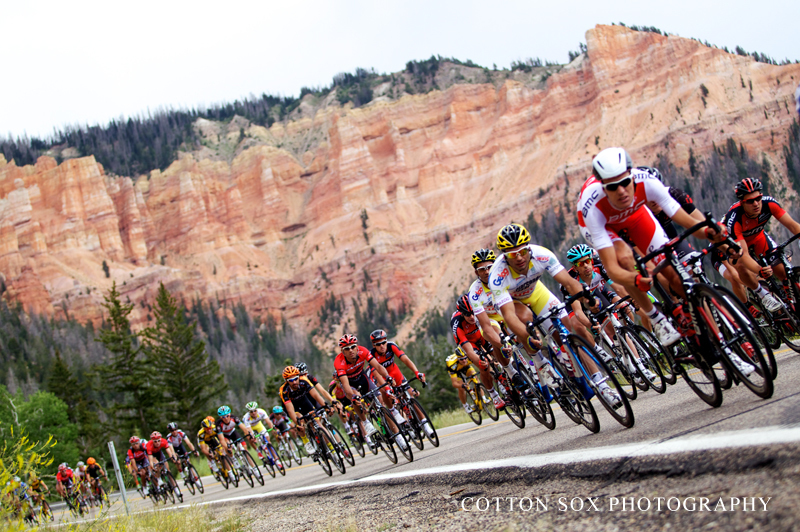 With 9,877 feet of climbing and scenic views from Bryce Canyon National Park and the Grand Staircase-Escalante National Monmunent, Stage Two will begin at 10 a.m. with the peloton reaching the finish line at approximately 3:45 p.m.
For a race guide, see Cycling Utah’s August issue in any Wasatch Front bike shop. Organiser: Utah Cycling Partnership, Inc.